It’s State Fair Time! 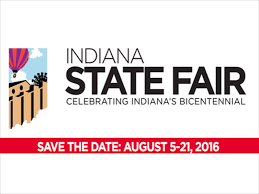 | It’s State Fair Time! 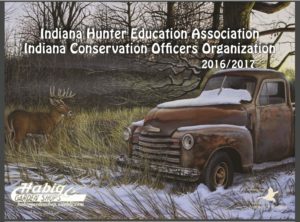 Education Association and the Indiana Conservation Officers Organization utilize their presence in the DNR building at the Indiana State Fair to educate and promote responsible stewardship of our natural resources. [slideshow_deploy id=’634′]The sale of these calendars at the State Fair and by mail order help to defray the cost of their programs. The calendar runs from September through August to correspond with the beginning of the hunting seasons which also doubles as a very convenient school calendar. Important hunting dates and events as well as fun nature facts pepper the calendar throughout. While my paintings of nature scenes have been the hallmark of the artwork featured, this year’s collection is made up entirely of old farm trucks featuring four new paintings from the past year. You can pick up your full color 10″x14″ calendars at the State Fair DNR building for only $5. Mail order calendars are available over the next couple of weeks by clicking on the following image. Click image to mail order a calendar. Perhaps you belong to an organization looking for a successful fundraiser or you are just looking for a unique personalized gift for clients. Consider contacting us and begin a conversation on how you can feature the artwork of Anthony J. Padgett in a successful calendar program and tailor fit it with dates and events important to your group. That’s all for now. Thanks for tuning in! ← My Summer Camp Experience!